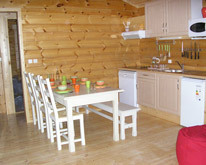 Welcome to the website of Les Aulnettes, our cozy, small-scale, single-handedly built holiday park in the south of the Vendée. 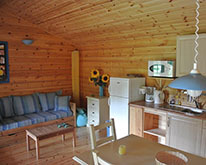 Since we rented our first Finnish wooden house in April 2006, we can look forward to an ever-increasing popularity. Despite great pressure, we have been able to resist the frequently recurring question to expand the number of homes on the park and so the unsurpassed atmosphere, for which Les Aulnettes is valued, is preserved. During the season, every Tuesday evening, you can join the now renowned Les Aulnettes BBQ night. In the Stabul is also a 42-inch TV for sporting events. 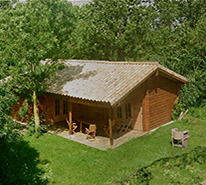 The Vendée is a department with a warm heart for the Tour de France and therefore Les Aulnettes has organized for several years now the renowned Les Aulnettes Tour Game. Nearby there is a lot to do, and if you cannot choose, you head off to one of the many beaches in the area, each with its specific characteristics. The owner reserves the right to change the information offered on this website at any time without further notice. All images/vidoe's on our site have been placed as far as necessary with the permission of all rights owners and parties involved. If you believe that this is not the case, please inform us. High or low tide ? Sporty for those who love it !